Police Car Leasing. Fleet Leasing. 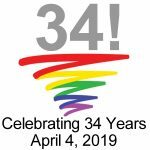 Our 34th Year! A+ Rated by BBB We provide lease-to-own financing for all law enforcement and public safety agencies. Very low interest, very flexible terms .Police car leasing is totally different from commercial and personal leasing. Our police car leasing is lease-to-own. Police and sheriff's vehicles and equipment is titled in your agency's name from the day it is delivered. Your agency OWNS it all; there are no lease residuals, no lease end buyouts or payoffs. Tax-exempt municipal lease-to-own financing for governments is totally different. Its a fact, municipal leases are almost always your agency’s lowest cost, non-debt financing for new police vehicle lease programs for cars & equipment. Every programs is designed specifically for municipal entities and their government fleet vehicles. Police Car Leasing Experience Counts. When its your reputation and your agency’s money on the line, Our 34 years of government fleet financing experience really counts. It means that everything will go right–as quoted, on time, on budget and as promised. No “jack of all trades” dance here. If its not for police car leasing or public safety–for state, county or municipal governments, you won’t see it here. We are the government financing side of First Capital Equipment Leasing and enjoy a well-deserved A+ rating from the BBB. First Capital Speaks “Police.” We get it. Its the language of police vehicles, upfits, municipal budgeting, timing, taxes, cash flow, due diligence, competing expenditures, town meetings and yes, even the occasional “political agenda” that gets into the mix. Essential equipment that may be years “overdue” for replacement is now choking your agency with maintenance expenses and downtime. We understand, we get it. We can offer a 100% turnkey lease-to-own police car financing quote that includes ANY EQUIPMENT that you need, from ANY DEALER or UP FITTER that you select. No “a la carte” solutions. Make every vehicle “street ready” for your agency the day it’s delivered. One price, one budget line item, all in. And then we didn’t. It was the right idea then, its still the right idea now. The problem: too many old vehicles on the road (or in the shop!) and not enough cash to replace them all. The fastest way to catch up is spreading those BIG ACQUISITION COSTS over multiple budgets–rather than draining it all from the next budget. Get your agency’s budget back “in sync” with your real equipment needs. The miles just keep adding up, this isn’t going away. Bet you’ve heard that a few too many times from the Mayor, the City Manager or the Council. Well, we’ve saved the big surprise for last, we will show you how to do more this year and it will actually cost less this year! Wring more vehicles and equipment out of your budget. 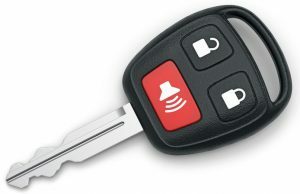 From police car leasing to prisoner transport vans, computer aided dispatch systems (CAD), to vehicle upfits and in-car computers. Finger print, crime scene and jail facilities, mobile radios to mobile incident command centers–and everything in between. If its essential to you, it’s in. Let us show you an actual lease-to-own quote based S-P-R-E-A-D those costs over several budget periods. You’ll know in 60 seconds if police car leasing is right for you.